"When a country is indebted to the degree that we’re indebted, the country always defaults. 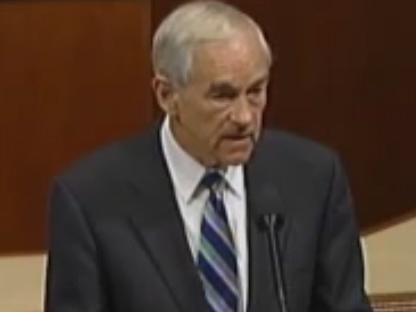 We will default because the debt is unsustainable," Rep. Ron Paul (R-TX) said on the House floor today. "If we don’t understand this, this default will not be because we don't send out the checks. We will send out the checks. It will be defaulted on because people will get their money back, or they will get their Social Security checks and it won't buy anything." Ryan: "Leading On Reporters At Press Conferences Is Not Leadership"